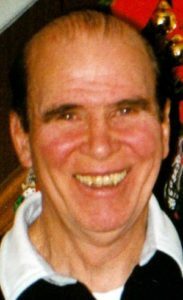 Gerard DiCrocco, “Jerry”, “Crock”, 88, of Lancaster, a kind, gentle and caring man, passed away, Tuesday, January 22, 2019 at Hospice & Community Care, Mount Joy. He was born in East Lampeter Twp. to the late Rocco and Rosinea (Fencina) DiCrocco and married to Geraldine “Gerry” Donohue DiCrocco for over 56 years. In addition to his loving wife Gerry, he is survived by two sons, Douglas Brown, husband of Karen, Camp Hill, and Stephen DiCrocco, husband of Debra, Reading; four sisters, Charlotte, wife of the late Benjamin Compton, Susan, wife of Donald Trout, Rita, wife of Dr. Raymond Good and Annie, wife of James Dougherty; his brother Raymond DiCrocco, husband of Diane and several nieces and nephews, whom he loved very much. Jerry worked as a machinist for many years in Lancaster and York. A very active member of St. Joseph Catholic Church, Jerry served as an usher for many years, and during the 60’s through the 90’s he coached baseball and basketball and was the parish athletic director in charge of all sports. He was a member of Knights of Columbus Council #867. Jerry started the 8th Ward Trojan Baseball Organization that gave a lot of boys a place to play ball. He was a member of the Eighth Ward Beneficial Association and Riverside Club. Jerry helped serve breakfast at the soup kitchen at St. James Episcopal Church. Jerry was a friend to everyone and the word “no” was not in his vocabulary. He will be greatly missed by all. A viewing will take place 10 to 11 AM, followed by the Mass of Christian Burial with Rev. Brian Olkowski as Celebrant, Monday January 28, 2019 at 11 AM, at St. Joseph Catholic Church. Interment in St. Joseph New Catholic Cemetery. In lieu of flowers, memorial contributions may be made to St. Joseph Catholic Church Athletic Club, 440 St. Joseph St., Lancaster, PA 17603. Thanks so much for being you! You touched so many lives in so many positive ways. I will always be a better person for having you as my first little league coach back in the late 1960’s. Hip hip and hooray… for the red hot 8th Ward Trojans! Both you and Mrs DiCrocco were so gracious and so caring about all of your boys. The season ending picnics at your home in your backyard on Emerald Avenue were always so very nice. All of the behind the scenes efforts for field preperation and equipment hauling and on and on, were so very unselfish of you and were appreciated by all of us more than you could ever know. Thank you so much for everything Gerry. God Bless you and keep you forever and ever Coach. The best friend and neighbor you could ever hope for. Words cannot express how much we will miss his smile and quick wit. Rest well my friend. Thoughts, prayers, condolences to the family. Jerry will be missed. Over the years we had many good discussions. Sometimes over a beer. He kept trying to get me to usher; but I kept turning him down. We did solve a lot of the world problems, at least on Emerald Drive. I am so sorry to hear about Jerry. What a wonderful person he was. I have many fond memories. Gerry sorry to hear of Crocs passing. He was a very nice man. Prayers condolences and love coming your way. Memories of great times shared will bring you through this difficult time. We are so very sorry for your loss. “Crock” was a great friend and a wonderful neighbor to my parents and me. You all are like family and our thoughts and prayers are with you. May God Bless you and watch over you.